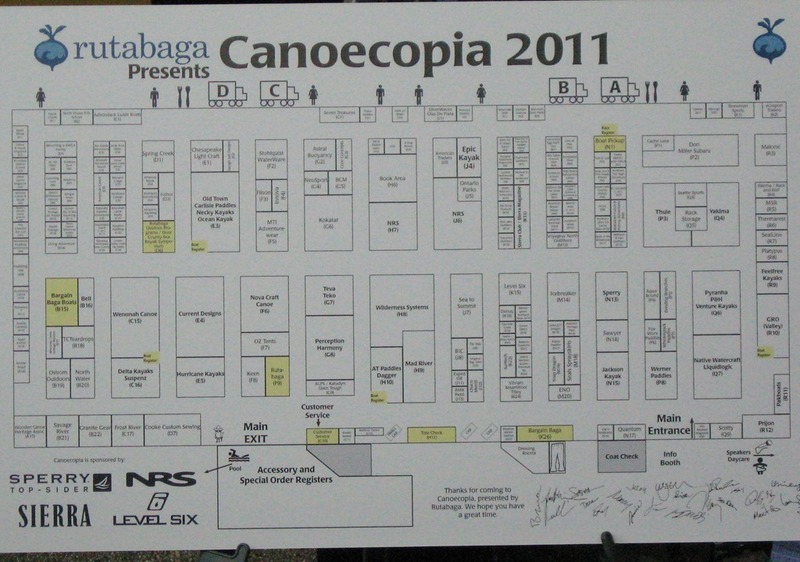 Canoecopia 2011. You may be wondering what is THAT? Is it a Thanksgiving decoration? No, that would be a cornucopia. Would it be a canoe party? You would be slightly correct, but much more. This is an annual event sponsored by Rutabaga”rooted in the outdoors” as their logo says, to promote time in the outdoors, be it hiking, canoeing or kayaking. 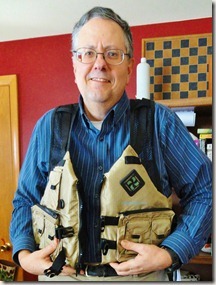 This 70’s company began as a co-op by some University of Wisconsin students dealing in used paddling gear. 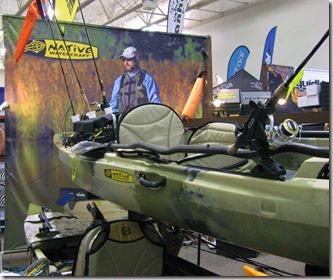 Over the years the business grew and changed ownership and began selling new and used gear. They offer paddling classes, wilderness first aid classes, outings, and trips all over the country. Its outdoor program is the biggest flat water paddling school in the U.S. for youngsters to seniors, for families or individuals. 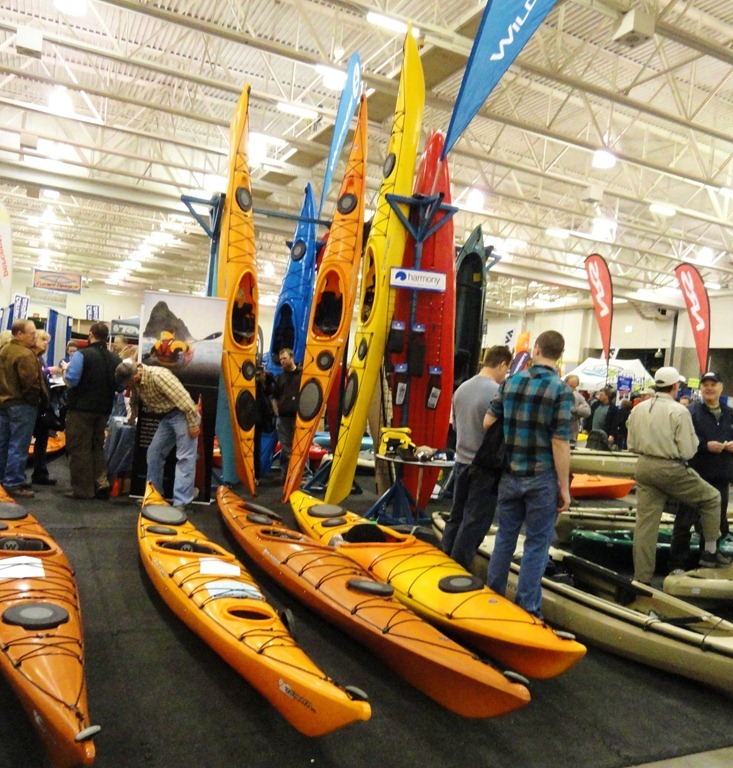 They also offer certification classes for ACA, BCU,(sea kayaking certification programs) and various master classes.They have received countless awards and received recognition from many paddle sport to backpacker media groups in the last decade. The present location is close to the capital in Madison, in Monona. Their operation is right off an inlet of lakes Monona and Waubesa, so equipment can be tried out. Oh by the way, their site explains their unusual name of Rutabaga being derived from a Frank Zappa song entitled “Call Any Vegetable”. 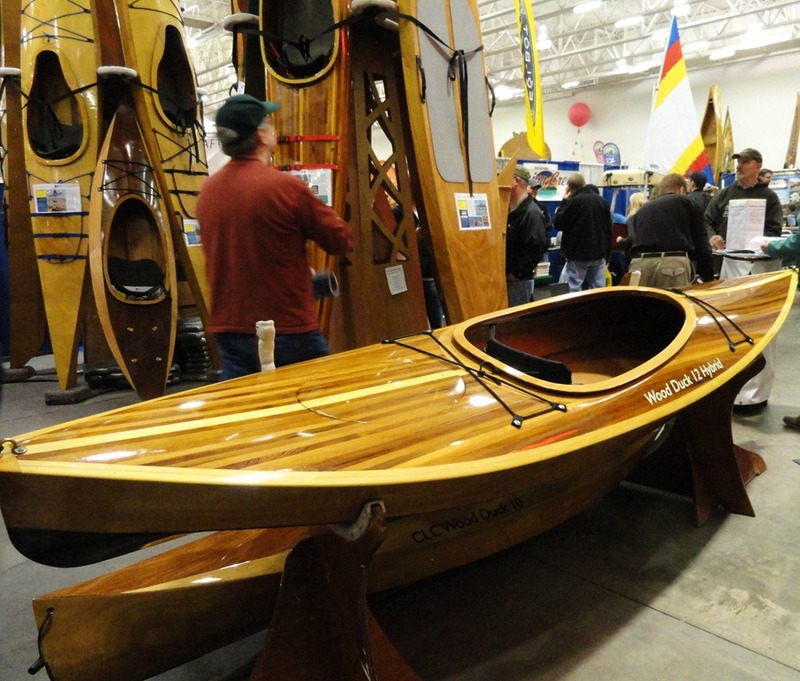 As for the annual “Canoecopia” event, it had a great hall filled,wall to wall, with hiking and paddle sport equipment from the Rutabaga Store. Representatives were on hand to answer questions. Rutabaga brought in many speakers, for the 3 day event, for seminars covering “how to pack a kayak” to camping and paddling in the Boundary Waters Canoe Area (BWCA) and Quetico Provincial Park in western Ontario,Canada. to paddling trips in New Zealand, Sweden & Norway, New Foundland, and more locally the Great Lakes and Mississippi River Watershed. There were 17 dry land seminar time slots Friday through Sunday and 12 time slots for pool demos. 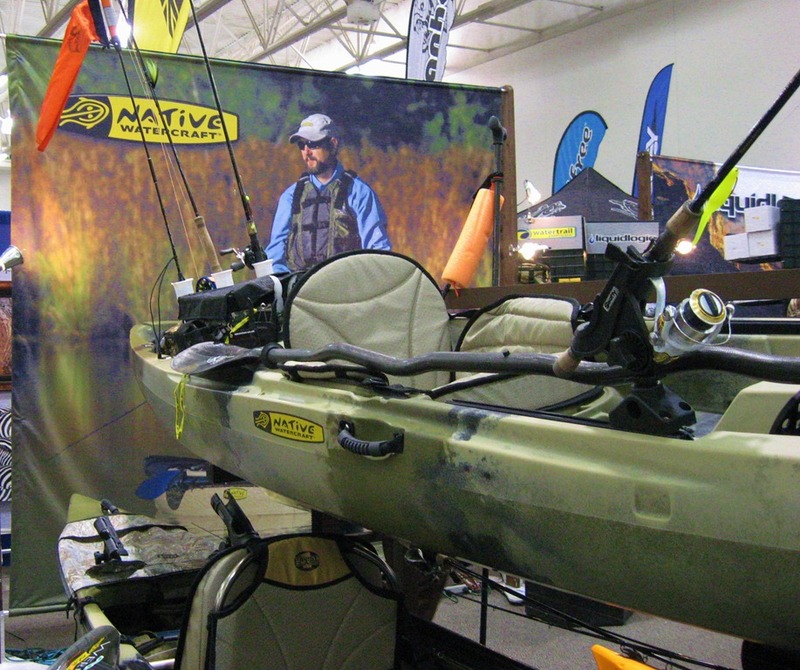 Jon wanted to see the fishing kayaks up close plus he needed a new PFD, one that would have lots of little pockets that fishermen like to hold all those hooks, sinkers, flys, and whatnots that need to be reached quickly. 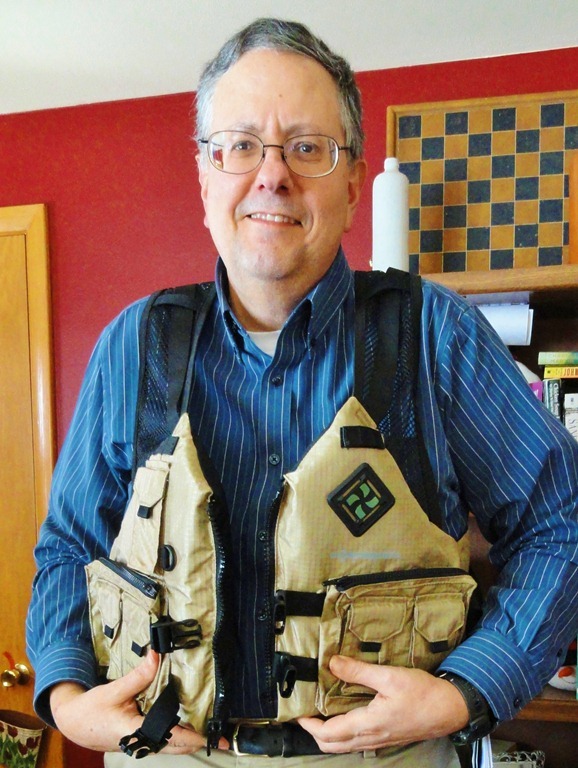 We succeeded in getting his PFD, paddle tethers, and a very cool water tight bag for my camera that you can shoot pictures through. (I tried it before buying). I like taking pictures and have ruined one camera in the past, I have used a Pelican water tight box also, but this will hang around my neck and be ready for action quickly. 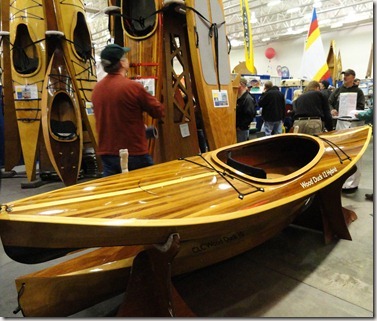 We both were surprised with the many kits available for those wishing to build their own wood kayak. Those already assembled were gorgeous. We drooled. 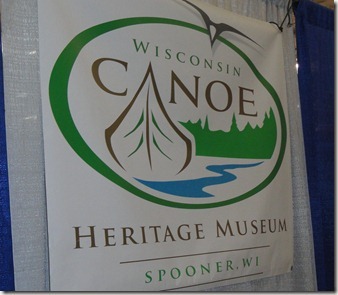 The Wisconsin Canoe Heritage Museum, from Spooner,WI had a booth. 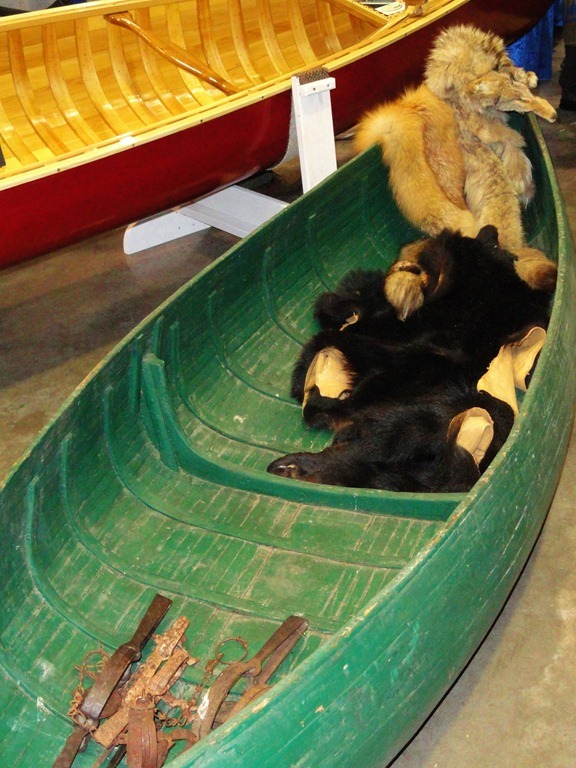 The green canoe below was used in early Spring by fur traders navigating the ice in the rivers of Wisconsin. It was made of heavy duty oak, difficult to portage I would imagine, but unbreakable. Jon and I have decided to make this one of our annual Spring outings. We just got a one day glimpse of the tip of the iceberg. 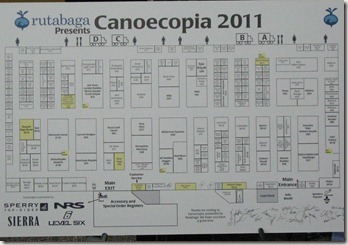 It was a much bigger Expo than we expected. Maybe next year we will do an overnight and take in two days of speakers. We were surprised that next door in another venue was “Bikearama”. 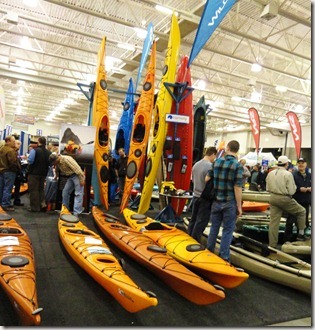 It was really a “one stop shopping and learning” convention for outdoor enthusiasts. It was not limited to the young and adventuring type. The event was full of seniors, who have maintained or are just beginning a relationship with land and water fun. 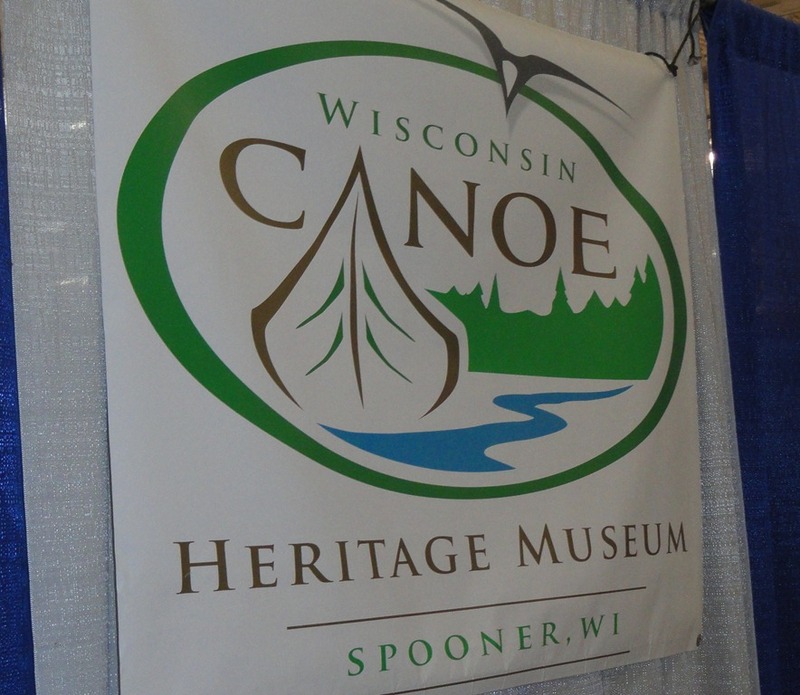 We highly recommend this Expo to those who want to learn more about canoeing and kayaking possibilities.